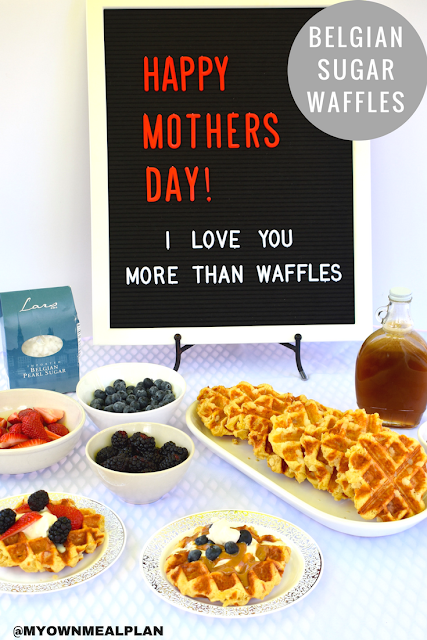 Have you ever gone to a waffle restaurant or food truck and wondered why the waffles taste delicious but very different from the waffles you make at home? 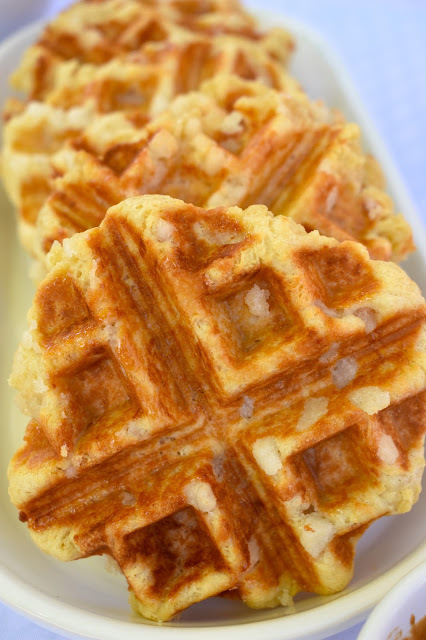 The waffles they are making are not your typical just add water waffle mix. No. They are making these Belgian Sugar Waffles. These waffles are crunchy, sugary, and devine! Now, you can make those sugar waffles at home! Make it with me! 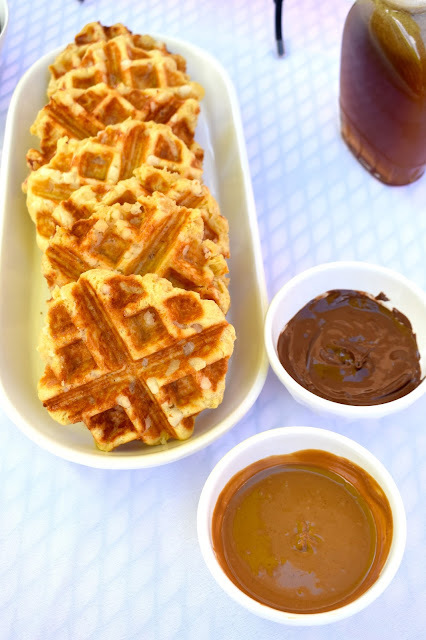 These Belgian Sugar Waffles take a little more time and prep than your typical just add water waffles! For one, you have to allow this dough to rise once you have made it. The dough is made with yeast, so it takes a little bit more time and planning. Also, these sugar waffles call for Belgian Pearl Sugar. 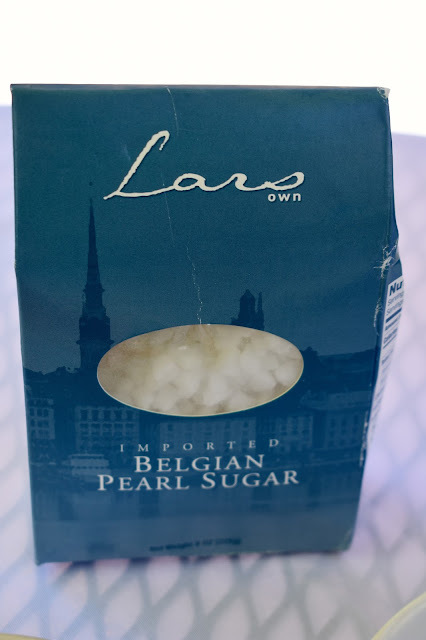 This is a special kind of sugar that you can find at World Market, or you can order it on Amazon. Lars' Own Belgian Pearl Sugar 8 Ounces (Pack of 2) Use that link to purchase! It comes with two bags, and it is very inexpensive! When you have whipping cream at those waffle trucks it almost tastes like vanilla ice cream. The whip cream is thicker and has a different consistency than regular whipping cream. That is because they are making Stabilized Whipping Cream. Stabilized Whipping Cream is relatively easy to make! It calls for all the same ingredients as regular homemade whipping cream, but you add a secret ingredient, unflavored gelatin. The gelatin is what makes the whipping cream taste more like vanilla ice cream! It's so good!! The Sticky Caramel Syrup is really what puts this recipe over the top. 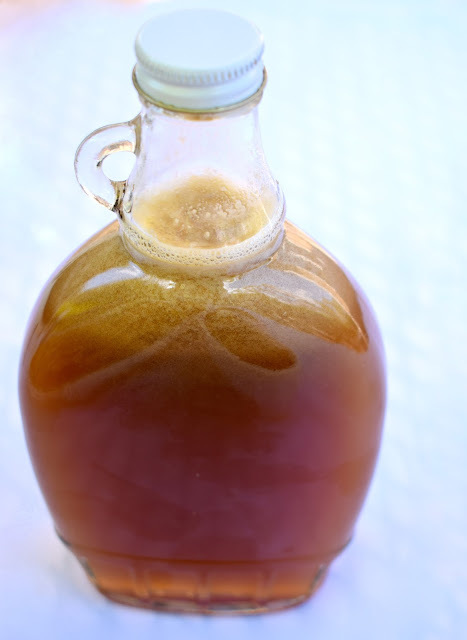 It's a simple homemade syrup made with brown sugar, corn syrup, and heavy cream. This recipe makes a lot so you will have some extra to store in the fridge for later. 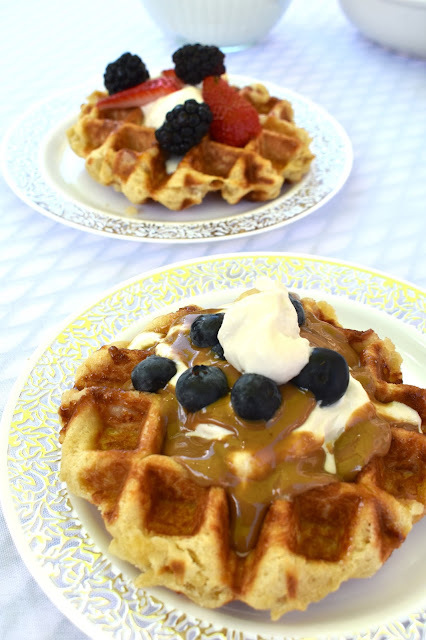 My favorite way to serve up this Belgian Sugar Waffle is to make it into a self service Waffle Bar! Hands on, interactive, and totally fun! Make up all of the waffles, the whipping cream, the caramel syrup, and any toppings you like and let everybody build their own. This is perfect for Mother's Day, a bridal shower, or any event! 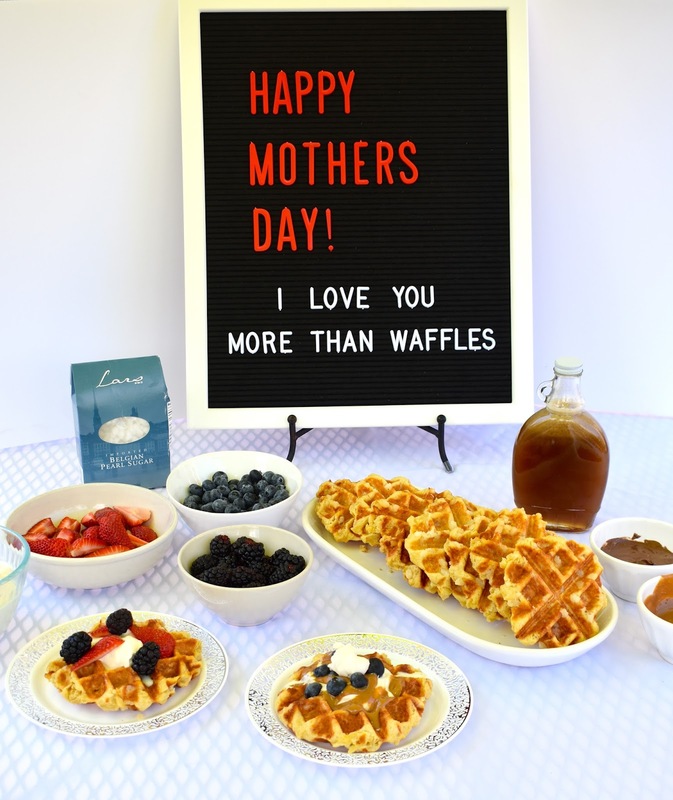 Your guests, mom, friends, and neighbors will love this leveled up waffle bar station! Dissolve yeast in lukewarm milk. Let it sit for 5 minutes. In a stand mixer, add in the flour, butter, eggs, vanilla, and salt. Begin to mix everything together on a low speed. When mixture starts to come together, slowly add the yeast and milk mixture. Mix on a low speed until everything is incorporated and it forms a dough. Place dough into a well grease bowl and cover with plastic wrap and allow the dough to rise for 30 minutes, or until it doubles in size. Once dough has risen, fold in the Belgian Pearl Sugar. Divide dough into 3-4 ounce patties and bake in a heated and greased waffle iron. Use caution: the melted or partially melted sugar is very hot. Be careful when removing waffles from waffle iron. Place cold water in small bowl and sprinkle gelatin over it. Let sit for 5 minutes. While it's sitting, place heavy cream, powdered sugar, and vanilla in the bowl of a stand mixer with the whisk attachment. Once gelatin is set, place bowl in microwave and heat until gelatin turns to liquid, about 10 seconds. In a saucepan over medium low heat, add all of the ingredients. Whisk until sugar begins to dissolve and mixture creates a syrup. Keep the mixture on low heat until ready to serve. Store in the fridge in an airtight container. Print this Belgian Sugar Waffle Recipe here!